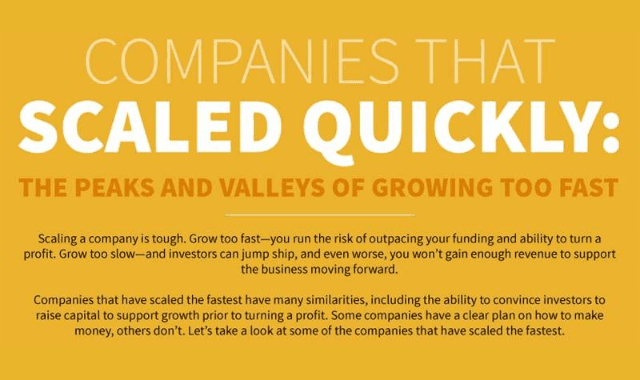 Companies That Scaled Quickly #Infographic ~ Visualistan '+g+"
Every major business started out as a small operation but when demand necessitates a growth spurt, a business must decide how to scale. Scaling is a delicate balance between growing just fast enough to retain interest, quality, and profitability, while outpacing competitors and staying relevant. Check out the infographic below to see how some companies have handled scaling.